Much was made this week when the Boston Athletic Association (B.A.A), revised the qualifications to run the Boston Marathon. Starting in 2012, there will be a rolling registration process and in 2013, new qualifying standards lower every age group/gender by 5 minutes. These changes while not out of left field, clearly caused much dialogue on various social media sites expressing discontent and outrage over how could the "Unicorn" go and change times like that? Simple, it's their race. How could they go and change the times and registration like that? Over the past couple of years, the registration has closed earlier and earlier with the 2011 edition closing within 8 hours. Of note, approximately only 10% of people who run marathons actually run a time that is a BQ. Discussion ensued over why is there only 80% allotted for people who have actually "BQ'ed" and 20% for charity runners. Why don't they shrink the number of charity runners and let more people who "earned" it run? Simply put, it's their race. When the news hit, I sent text messages to my neighbor who ran his first two marathons last year and missed a BQ by 16 seconds in his first under the old standards (note: the 59 second buffer will no longer be extended) and a minute plus on his second. It was required that we have pizza and beer that night as the kids played to discuss. As he put it to me, "Five minutes is a lot of time in a marathon" and his wife who has run one Boston (2010) and qualified for another( at Boston) but deferred in 2011 said "What if that was my only chance" in response to the rolling registration based on how much faster than the BQ you were. Yes, I have had the opportunity to both see the start of the Boston Marathon as a child and run it last year. Yes, it is a cool experience and I have stated that I would like to go back again. But was it any cooler for me than running on the Appalachian Trail last year, or getting a chance to plan and run my own little adventure in the Rockies? If I put it in perspective, I don't think so. In both of the latter cases, I made the choices on where and how long to run. I decided what the qualifications needed to be and what the cut off times were. The people that made the changes made it on the basis of what they felt they needed to to do keep the "Unicorn" not in the rear view mirror of runners, but just in front of the headlights so they keep chasing. People will grumble for a bit and may have to shift their racing plans a bit, but for those that are truly committed to capturing the "Unicorn" the chase will continue. For others that thought they had a chance with the old qualifying times, there is a fork in the road. Simply put it is their race. 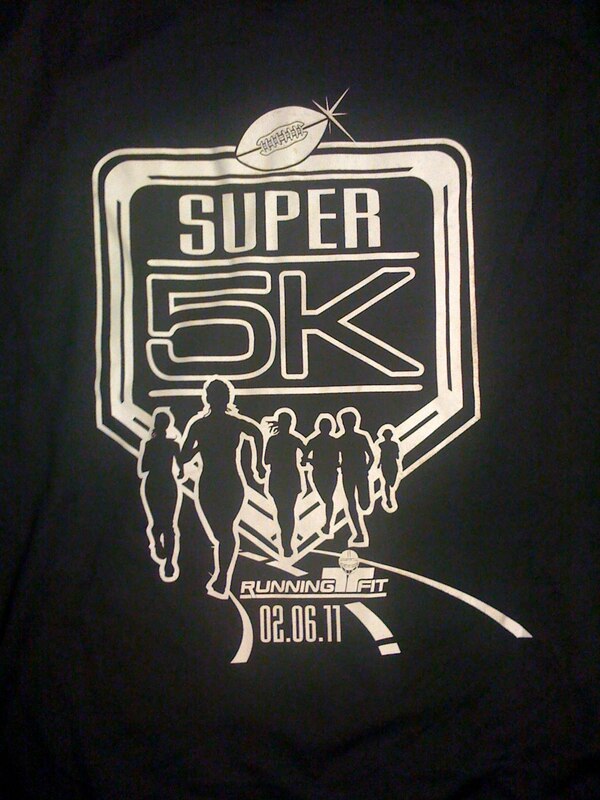 Which race are you going run? Before there were gels, GPS watches, and mp3 players there was running. Before a "barefoot running" craze, moisture wicking fabrics, and entering your name into a lottery hoping to get into a race you wanted to run, there was running. Now I am as guilty as anyone when I load up for a long run with a GPS, iPod, hydration system, phone, etc to get through the miles. But I remember when I first started with nothing but my shoes and my lungs. There was a simplicity to it. 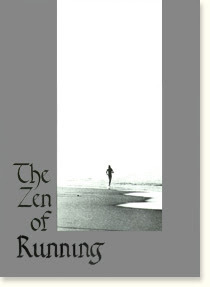 Enter Fred Rohe, and his book, Zen and Running ( click here for PDF version). In this flowing dialogue which reads more like a poem than a book, Fred shares his thoughts on running. Here is just a sample. You decide what rules you want to play by. You will find your dancing run doesn't tire you but energizes you. The point of your running is to help you become healthy, happy, and wholly you. You are not running for some future reward, the real reward is now! Let's let our running be real. With all of our technology is our running like that at all? Could you forgo all the "extras" and just run to run without regards to time, pace, distance? What might that look and feel like? 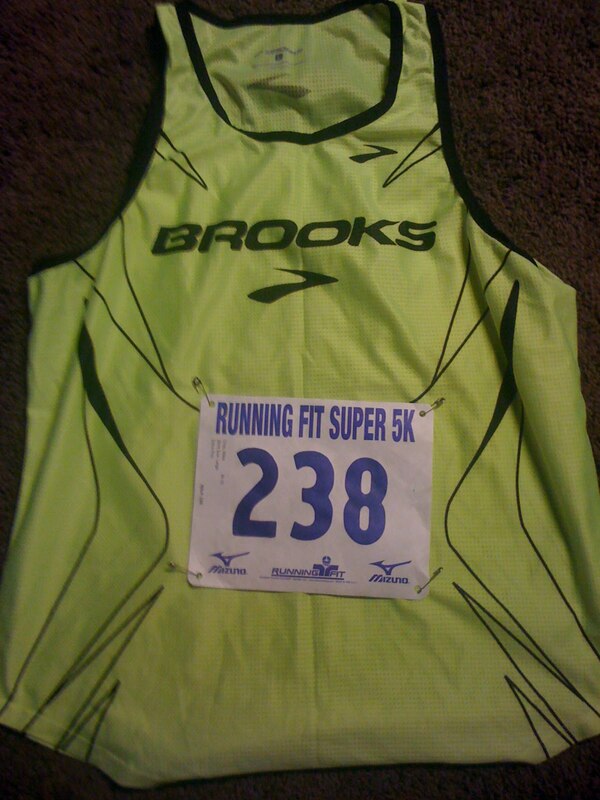 Today marked the return to a distance that I ran I high school, the 5k. Without serious training, I somehow managed to run an 18:51 back then which was good enough to be varsity at my school, but left middle to back on the pack at invitationals and nowhere near a time that would qualify for a regional or more. 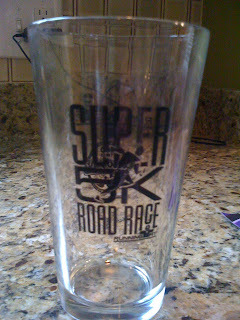 I ran what I deserved given my lack of seriousness. It's always easier to say...I wish I had...after the fact. Nevertheless, the time still stands as my PB or PR (which one is is really?) and it is one that I have put down as a goal to break this year. Despite getting over a nagging cold and a calf muscle strain, I was still looking forward to the Super 5k to set a time for the year and get out there and attempt to "race it". To feel fast, I donned the Brooks Singlet over a long sleeve tech and fleece pullover. The temp was a brisk 25 degrees with a nice windchill of 18. Roads were wet and sloppy from the fresh fallen powder the night before and made for some interesting traction points along the way. Onto the race. I am really making a concerted effort this year to do things right in terms of warmup, race smart, and cooldown to achieve the best results. Step one: run easy for 20 minutes with several striders to warm up. Step two: attempt to run even splits instead of going out in a blaze of glory as has been the pattern. I didn't do to bad here averaging: 6:25, 6:28, 6:33 with a finishing time of 20:10. 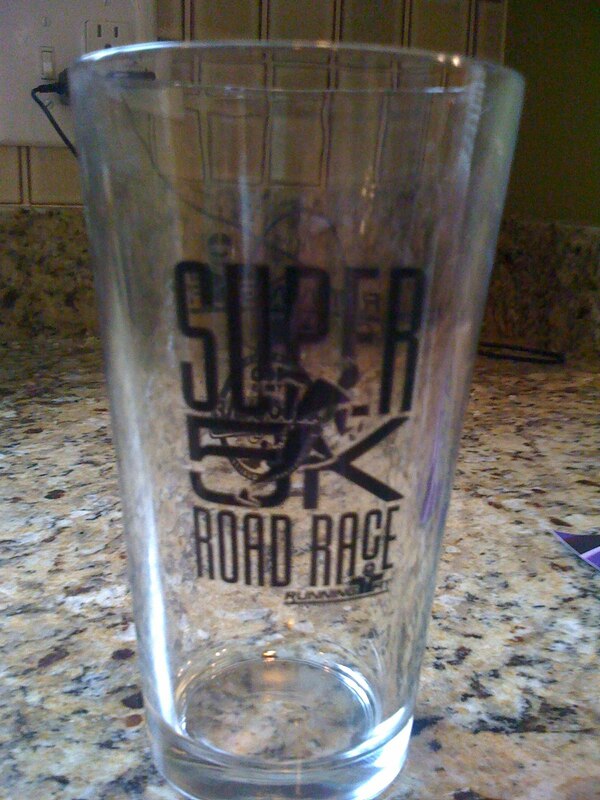 Step three: deposit most awesome pint glass to be filled with a frothy cowboy pop and run/walk as recovery. Mission accomplished for the day. So here's to the snow melting, the temperature rising, and faster feet! They say that those can’t teach. Wrong. Each and every one of us is capable of teaching someone, something. Recently, one of my students has taught me a powerful lesson about HUMAN CONTACT. You see, this student had an accident. An honest accident that has resulted in a much longer hospital stay than imagined. Now, just for a moment let me tell you that as an administrator that this student and I have had a tenuous one at that relationship when it came to our HUMAN CONTACT. As he was struggling to find his way, I was there to h correct and redirect his choices and that meant that initially more times than not that we did not see eye to eye. However, that being said, over time our HUMAN CONTACT has become more positive and he was headed down the right path thanks to the not only the choices he has made but from the many other positive HUMAN CONTACTS with the staff. When I was notified via the blinking LED on my Blackberry, an electronic device that seeks to eliminate the need for HUMAN CONTACT, I made a point to stop in and see him at the hospital. Stopping in to see him was the right thing to do in my opinion and I have continued to stop in and see him everyday. Why, you might ask? Simply put, he needs HUMAN CONTACT. This has nothing to do with classwork, or grades, this simply has to do with showing support for another human being. His family situation being what it is means that he has few visitors at a time when some families might find it a rallying point. However, this is not a judgment on his family, because they are coping with the situation that they know best. The whole idea of HUMAN CONTACT is at a cross roads. Take a look around or go to any coffee shop. You will find a vast majority of people devoid of any real HUMAN CONTACT. They are hunched over their keyboards, or squinting and feverishly checking their smart phones for the latest update via email, Twitter, Face book, etc. Some sort of validation of their own well being. See….someone recognizes my thoughts or likes what I have to say! It’s easy to get lost in a sort of virtual reality. I will admit myself to falling victim to this pattern even when I should be paying more attention while with my family. However, it doesn’t have to be like that and this student unknowingly has taught me a lesson about the value of HUMAN CONTACT. Lift your head up from that keyboard, put away that smart phone and engage in HUMAN CONTACT. We all know how to do it.